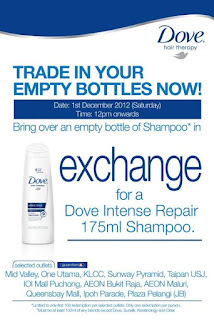 Trade your empty shampoo* bottle at the selected Guardian outlets tomorrow (December 1) at 12.00 noon onwards to exchange a bottle of Dove Intense Repair 175ml Shampoo. 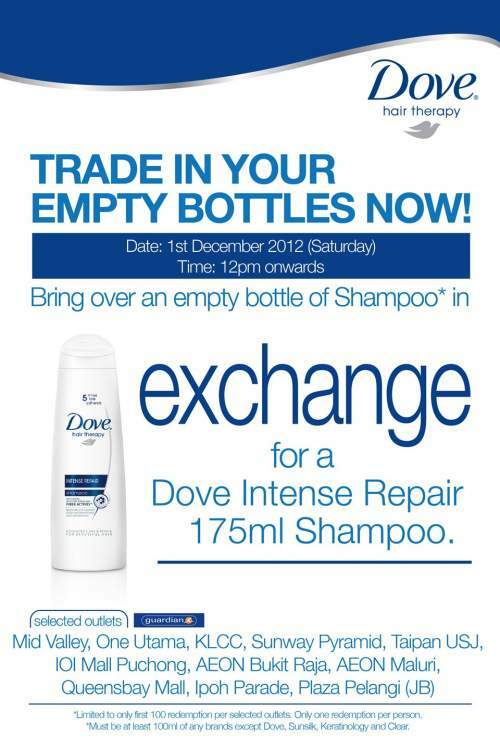 The empty bottle of shampoo* must be at least 100ml of any brands except Dove, Sunsilk, Keratinology and Clear. We are offering 100 redemptions per selected outlet. Only one redemption per person. Remember to LIKE & SHARE out with your friends ya!